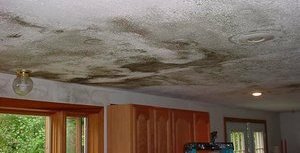 Whenever water damage situations like roof leaks or pipe bursts, the mold removal North Royalton remediation experts from 911 Restoration Cleveland are prepared to take care of those issues right away. When a leak springs, our technicians also know that mold growth could also be a problem that needs to be dealt with. If we do detect any signs of fungal growth, our mold removal North Royalton moisture removal technicians will conduct remediation services. We’re available 24/7 to be able to work on any mold and moisture problems whenever you need our help. We know how urgent mold needs to be removed so we provide on the day service and we can respond to any emergency within 45 minutes. Excess moisture creates the ideal environment for fungal infestations. Once it sets in, mold will release spores that can allow it spread throughout your home. Those spores can also trigger respiratory problems like coughing and asthma. On affected areas, mold will feed off of wooden components of your home which can lead to structural problems like wood rot. Fortunately, you can always rely on our IICRC certified mold removal North Royalton specialists are equipped with advanced drying equipment that will extract water and remove moisture from your home effectively to prevent future mold issues. 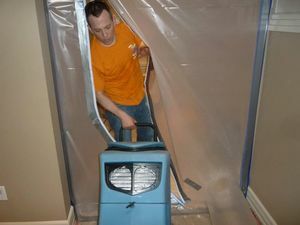 We have the training and over 35 years of experience in handling water damage and mold remediation. Whenever black spots or leaks need to be taken care of, our mold removal North Royalton technicians can come in and conduct a free visual inspection and estimate to recommend the best solutions at an affordable price. Our mold removal North Royalton leak repair specialists have all the training and equipment to be able to take on both water damage and mold growth. To thoroughly remove mold from your home we will make use of industrial strength, eco-friendly cleaning solutions which can cleanse the affected area of mold without causing additional harm. Our advanced equipment like infrared cameras will also help you locate any hidden moisture spots within your home so we can check them for mold growth and water damage. Our mold removal North Royalton flood extraction team will also make sure to check every nook and cranny of your home for any signs of leaks or fungal growth. We’ll repair water damage, remove mold, and cleanse the area of the foul mold odor so you can get a fresh start! Black or pink spots on any surfaces like the walls, rafters, and other wooden sections of your home. Let us help get rid of any fungal infestations within your home and get a fresh start right away by calling 911 Restoration a call today!